I will be using and reading the CSB Bibles in coming weeks. I purchased the hardcover Baker Illustrated Study Bible and the Leather touch Chronological Bible (at $25 why not). Bulk: By that I mean the depth, 2 ¼ inch thick, is rather hefty (For comparison the LCMS ESV Study Bible is about the same thickness). Of course, as a study Bible I will not be carrying it with me wherever I go, leaving at the study desk. So less of a problem. Text quality: I am a little surprised in font choices and sizes. The text font size is smaller than I expected. This is rather disappointing. The text of the Scriptures themselves are a challenge to read. It is doable, but the lighting has to be just right for reasonable comfort for longer reading periods. The only smaller font that I have seen in Bibles is the font for Compact Bibles. Even worse, the font used for the footnotes fails on two issues: a.) even smaller size than the main text and b) it is a Sans Serif font with a lighter (fainter) look. That combination works against easy reading. Also the font and placement for cross references is not easy to read. The cross references are in the inside margin of the page, which makes it less friendly to use. The concordance font is very small as well. Good thing I keep a magnifying glass at my desk. 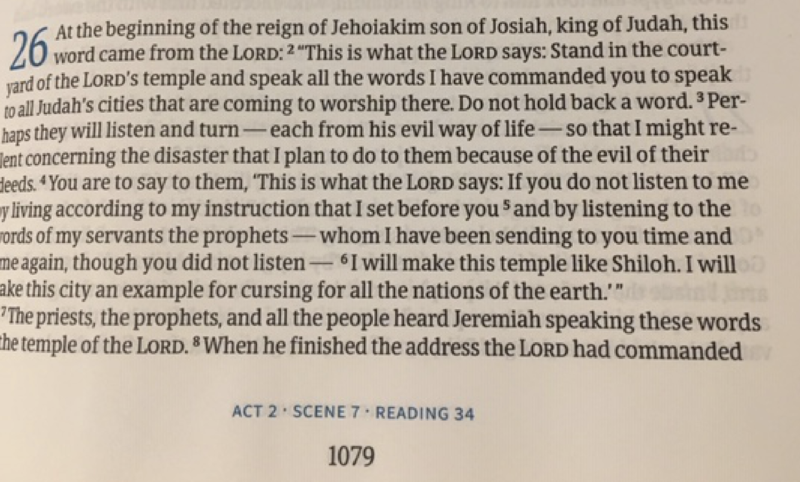 Red letters are used in the New Testament for Jesus’ words (quite common). Given the size of the font and red (which is lighter than the black) may be a longer term problem. Maps: For me, this is a strong point. I have not examined all the maps, but the ones I have are well done. The text is small but readable. Moreover the color choices make the maps a good resource. Bulk: This Bible is produced by Holman Bible Publishers. It is a little bigger than I expected, but workable and portable: depth 2.20; length 9.80; width 7.60. The leather touch cover is nice, flexible. The sown binding should hold up well. The fonts used for page headers/footers is Sans Serif (which works well), Interestingly both headers and footers are printed with a blue color (which is ok). The chapter numbers are likewise blue, which I like. 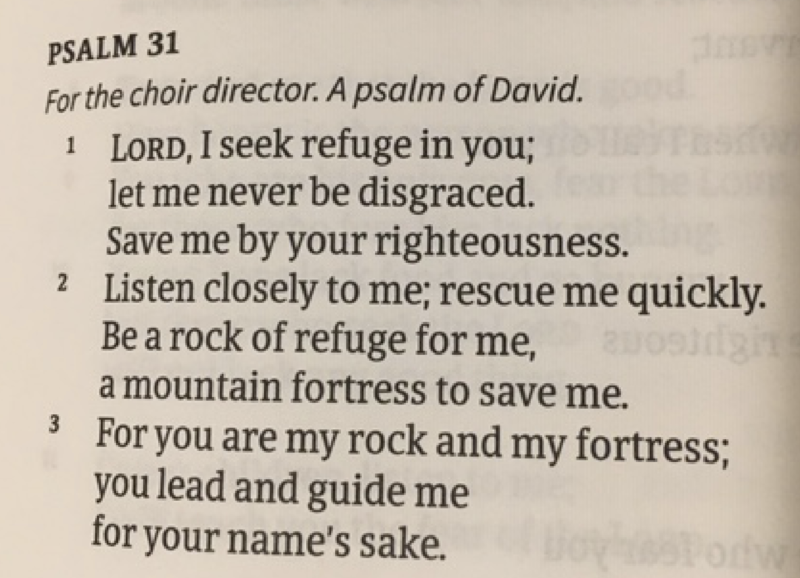 Oddly, the Psalms chapters are smaller font and not printed in blue (see first photo). Don’t see the reason for such a change. While the darker font aids in reading, the bleed through is distracting. The inside margin is ¾” and the outside margin is 1 ½.” While this is good for note taking, it seems a little narrower margin could have allowed a larger font for the text. While both Bibles offer some good features, my initial impression is that there are some drawbacks for those with vision limitation and color blindness. I will begin using them in the coming weeks to evaluate each Bible more completely. Wow, two CSB bibles at once. Looking forward to your reviews on the two bibles.